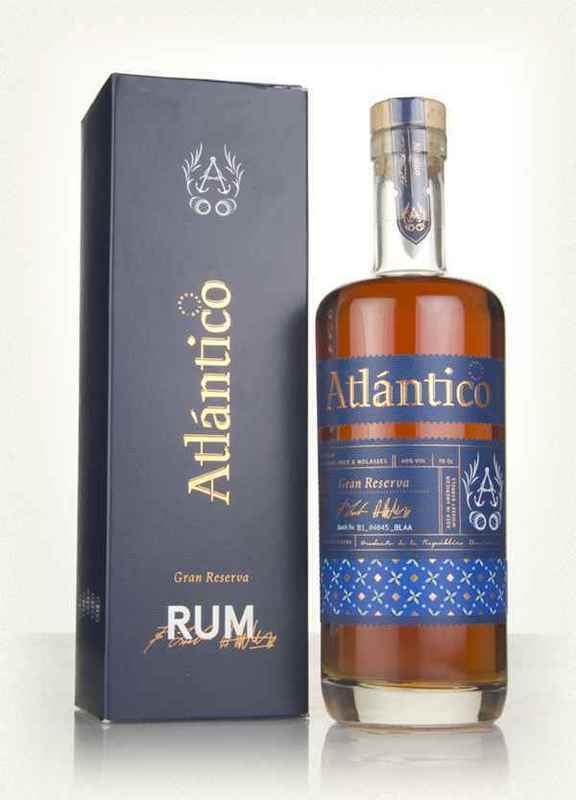 Have you found an online vendor selling Atlantico Gran Reserva? Slightly disappointed in this rum, I expected a bit more. Decent enough sipper by itself, woody and a intense flavour, but doesn’t quite do it for me. Not too sure about a second bottle, probably not. Poprawny rum, nic nadzwyczajnego. Na początku bardzo ciekawy aromat, jakby trochę cytrusowy. Bardzo delikatny. Zaciekawił mnie. Smak...hmmm trochę rozczarował. Bardzo delikatny, dobrze się nawet pije...ale ... nadal nie ma czegoś co by mnie zaciekawiło i spowodowało bym kupił go ponownie. I got this one from a tasting box. Very smooth, intense nose. I would probably buy a whole bottle if it was on sale. Shrnutí:	Atlantico Private Cask mi hodně chutná, a tak jsem bez vyzkoušení zakoupil lahev Gran Reservy, přišlo mi, že asi udělali jen nějaké kosmetické změny designu, ale sázel jsem na to, že kvalita bude jistě obdobná. A to jsem neměl dělat. Atlantico se vydalo cestou maximalizace zisku na úkor kvality, což mi přijde jako hodně krátkozraká politika. Přímý srovnávací test těchto dvou lahví potvrdil mé podezření, že tady je něco špatně. Dobrou zprávou je, že Private Cask se dá stále sehnat, a někde dokonce ještě levněji, než nový, méně kvalitní rum. Tak moc neváhejte a raději nakupte ještě ze starých zásob. Stejný dojem měl i kamarád, který také porovnával obě verze. Rozdíl je opravdu markantní. Enjoyed 3 glasses of Atlantico Gran Reserva while in London. Pretty decent bottle and label design. Light golden color. Vanilla and oak straight to your nose and palate. Moderate burn at the end but simply artificially sweet ending. Whisky lovers can add 2 points to the score. Sampled the Atlantico Gran Reserva at Cardiff Rum Festival on the weekend and I must say it's my favourite out of the Atlantico family. I almost purchased a bottle instead choosing the Botran 18 year old instead. The Gran Reserva is achieved by first distilling 2 separate rums one from molasses another from fresh sugar cane juice, aging them separately then blending and reaging after this double aging the blend is put into the solera system. It's a thoroughly well aged liquid and it's just so good! Sød og let drikkelig, dog vil mange nok finde den for sød. It's cluttered and there is no order to the displays, but Old Town Liquor and Deli had a nice rum selection; including the Atlantico Gran Reserva. The rum had a nice caramel flavor and I preferred it straight to to mixed. Every now and then I don't mind something sweet, but really, this is far too sweet. I looked up on the Rum Project and see Atlantico have in the past added a huge amount of sugar. While this one is not listed in their records, I reckon it is well up there with the most doctored rums. It is a shame as I reckon that there is enough there to be so much nicer without the sweetness. There is a lovely burn from the alcohol (which personally I always like), with a good dose of wood from American oak. But the vanilla, toffee and caramel masks a lot of the fruit. What appealed to me was that it says that it is distilled from fresh cane juice and molasses. Unfortunately the distillate from the cane is not easy to see at all. Nice packaging and all, a nice burn of alcohol and smooth and easy to drink, but ultimately it is like an alcoholic Baileys.Ultimately disappointing, but I hope that this newly opened bottle might blossom further down the line. I miss the body, it has cheap sweet tones. It's quite disappointing compared to the other Atlantico rums. Vůní velmi podobný Blue Mauricius - oříškovo mandlová vůně. Chut už výrazně odlišná. Silnější alkoholově. Ale stále pitelný. Heavy nose and taste of vanilla. A little wood and toffee. Needs a little depth and caracter and that Price I can find something better, but it is not bad at all. And I would drink it any time again, but I don't Think I would buy it unless on sale. Have more whisky than a rum taste. Some sweetness, but not much. Strong smell and taste of wood, which I like it. The type of drink which will be appreciated by the vast of majority.